An extensive car park for every purpose and a motivated team with experienced drivers awaits you at Taxi Rocky Täsch. 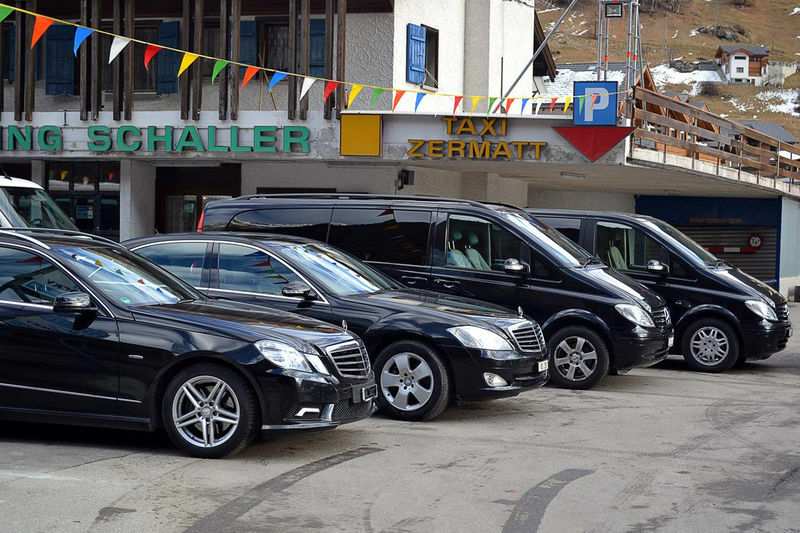 You can park your car at our parking and travel to Zermatt with our vehicles. We have 50 outdoor parking slots and an underground car park with 200 slots. We will, of course, help you to reload your luggage and organise the onward journey to Zermatt. We will be glad to pick you up at the airport and drive you to Zermatt, so you can start your holidays relaxed. Lean back and enjoy the beautiful drive through the Zermatt mountains. We are happy to pick you up directly at the airport or at any other destination. The whole team of Taxi Rocky, Parking Schaller Täsch is looking forward to your visit.